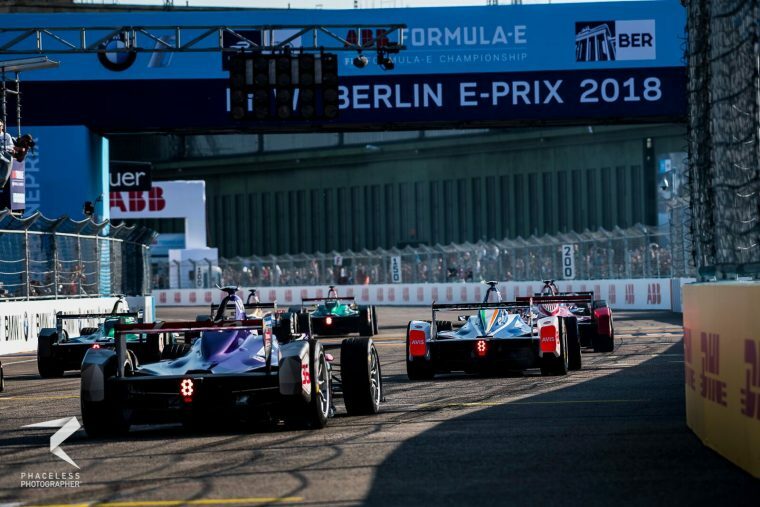 The FIA has released the calendar for season five of the ABB Formula E Championship, with 10 countries and one more to be announced making up a 13 race fight to the title. 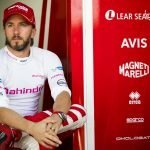 The season opener had previously been held in China and Hong Kong, but a new venue in Saudi Arabia will now introduce the Gen2 car to the championship on 15 December 2018, while Marrakesh in Morocco remains as the second event of the season. Round three is still to be officially finalised but a number of venues are understood to be interested with the most likely being a return to Santiago, before round four sees the series return to the ever-popular Mexico City. 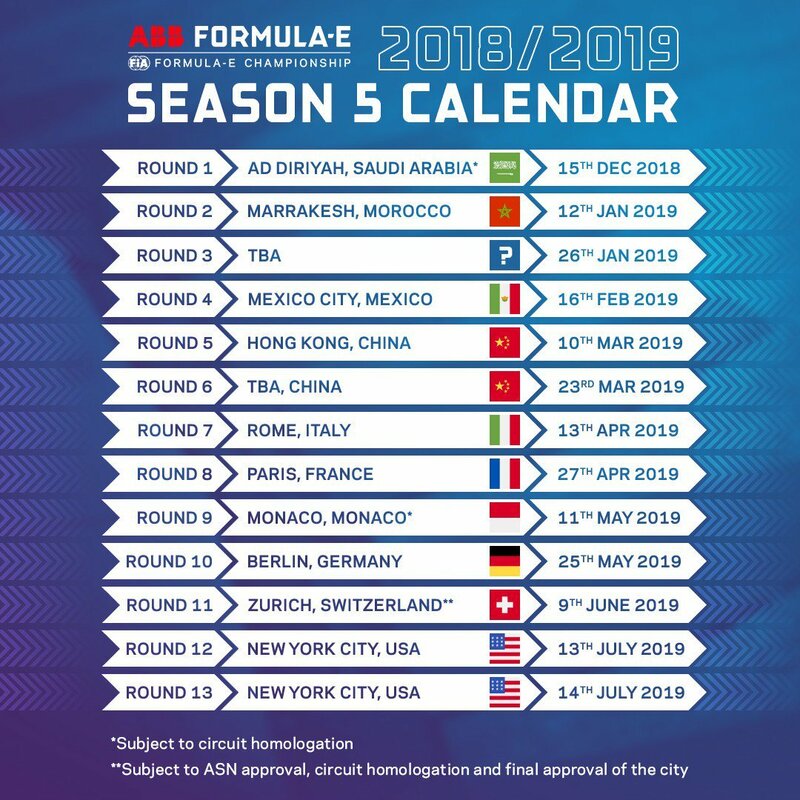 The series will then head to Asia for round five at Hong Kong, which hosted the opening round in seasons three and four, before another Chinese round two weeks later at a currently unconfirmed location. 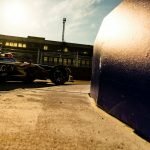 The European leg then kicks off in Rome and will also tour Paris, Monaco, Berlin and Zürich before the season-ending double header in New York. Birmingham and Copenhagen are also understood to have been potential venues.